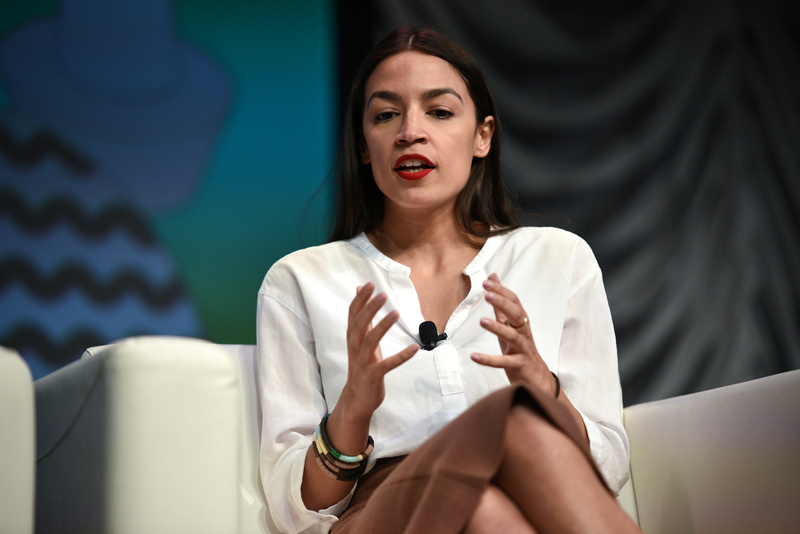 WASHINGTON, D.C.—Democratic New York Rep. Alexandria Ocasio-Cortez claims President Donald Trump can still be impeached even though special counsel Robert Mueller has wrapped up his investigation into alleged Russian collusion. “I think that there’s grounds for impeachment even independent of the Mueller report—particularly with the emoluments clause [of the Constitution],” Ocasio-Cortez told a reporter Tuesday. A federal appeals court last week, NBC News reported, asked Maryland and DC lawyers about their claims that President Trump is violating the Constitution by accepting profits via foreign and domestic officials who stay at the Trump Hotel. U.S. Congresswoman Alexandria Ocasio-Cortez speaks about the first few months of her tenure in congress with Briahna Gray at the South by Southwest (SXSW) conference and festivals in Austin, Texas, U.S., March 9, 2019. REUTERS/Sergio Flores. “This is about much more than just collusion. And so, from his point of view, he captured that message with just one word. Well, so, from his point of view, it’s all over, but for us it’s about collusion—it’s about conspiracy, it’s about corruption, it’s about abuse of power and it’s about obstructing justice,” Democratic California Rep. Karen Bass said Monday. Democrats appeared unconcerned about any investigation fatigue among the American public as the caucus plans to continue to roll out their legislative agenda while investigating the administration and prepare to campaign for 2020. Bass, however, placed the onus on what the media chooses to cover going forward.